Do you have an account with State Bank of India? Is this your first account? Did you receive the account opening kit? The account opening kit contains passbook and ATM card! Do you know how to use the ATM Card? You can use the ATM card for a balance transfer, money withdrawal, self-account deposit, mini-statement, balance enquiry, and access much more banking services and facilities. It is not possible to update the passbook every time to check the account balance. Every cardholder must know to use the ATM card. If it is a new card, you need to activate before using it for making the transactions or accessing the banking services. Make sure to enter the correct PIN every time else the card will get blocked after failing to enter the correct PIN three times. You don't need to visit the bank to check the account balance using ATM Card. Step 1: Visit any bank's ATM and insert the ATM card in the machine slot. Step 2: Find 'BALANCE INQ' option from the menu and tap on it or press the dedicated button for the option. 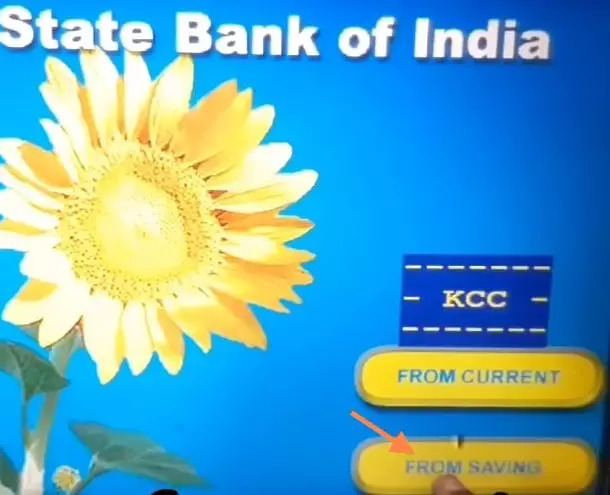 Step 3: Enter the 4-digit Atm PIN to unlock the menu options on the screen. Step 4: Now click on From current or From Saving account name. You can also press the button displayed in front of the name of your choice. Your transaction will be processed. The screen will display the account balance available in your account. 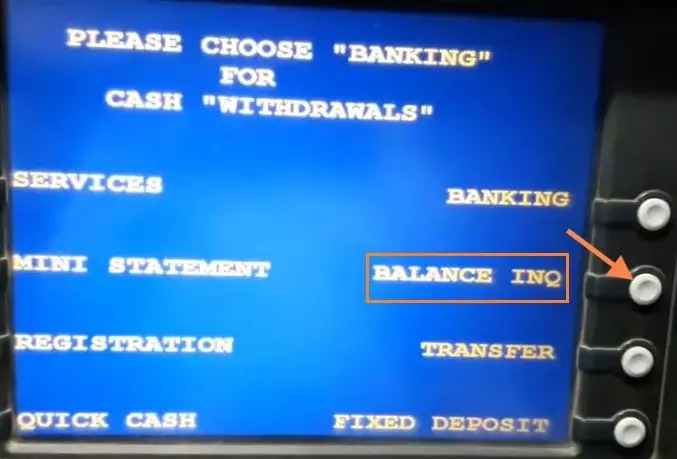 You can also print the account balance info selecting the option flashing on the screen. Checking the account balance via ATM machine will take only a few minutes, and you don't need to visit the branch. 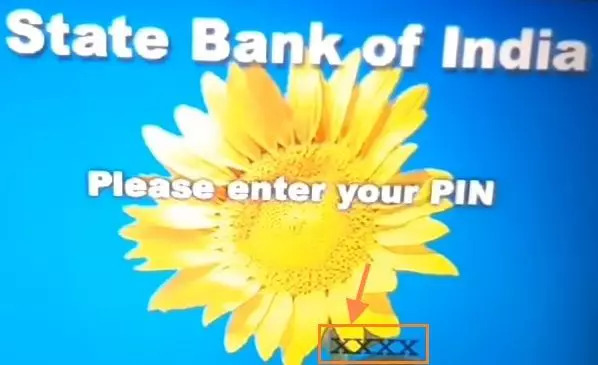 Make sure to visit the SBI ATM center. If you don't have time to visit the ATM center, you can check account balance using sbi missed call toll free number. Charges may be applicable for using the ATM card at ATM centers of other banks! State Bank of India has the largest network of ATM centers across India. You may not require accessing ATMs of other banks.